Home	> 2. BEN SHMUEL. FIRST EDITION, MANTUA 1622. 2. BEN SHMUEL. FIRST EDITION, MANTUA 1622. 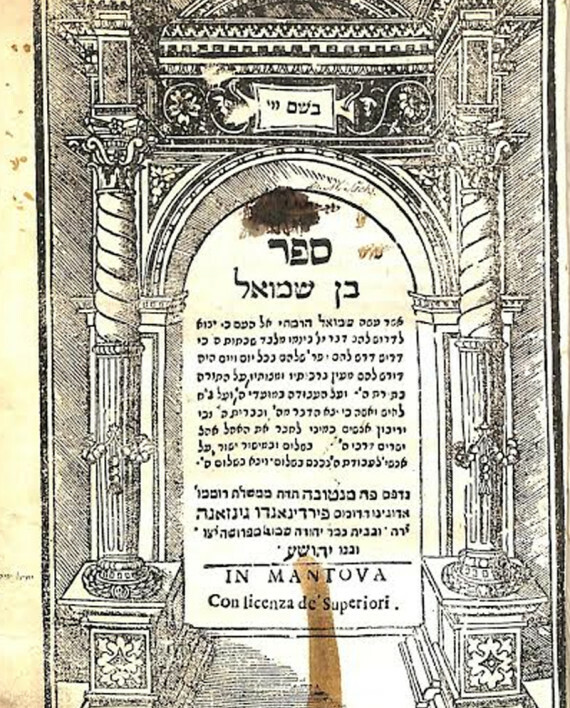 Collected sermons of Rabbi Shmuel De Medina published by his grandson R. Shmaya.  Rabbi Shmuel De Medina (1506-1589) (MaHaRaSHDaM) was one of the most influential rabbinical leaders of his era, who was particularly involved in community affairs in Salonika. He was a student of the RaLBaCh and R. Yosef Taitatzak, and led a great Yeshiva which attracted many exceptional students. 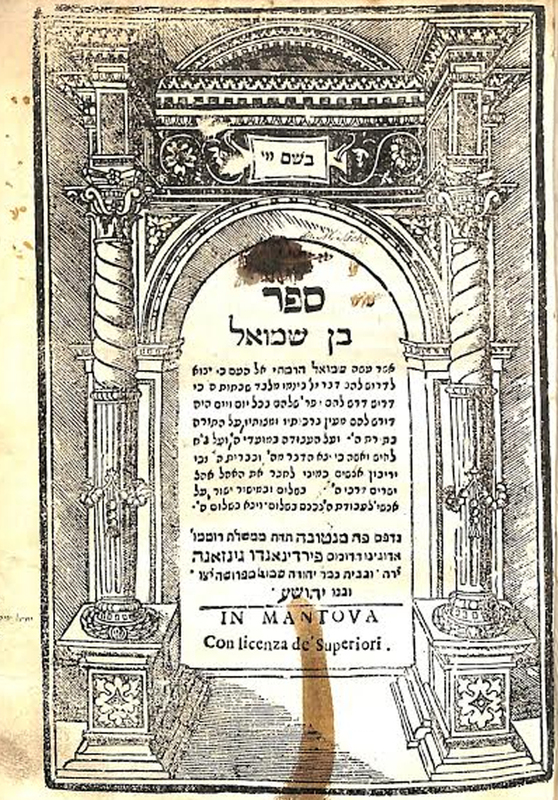 His Halachic responsum, published under the name She’elos u’Teshuvos MaHaRaShDaM received great acclaim. With various signatures of Rabbi Dr. Yechiel Michel Zaks of Berlin (1808-1864), a prominent Rabbinical figure who was extremely active in opposing the Reform movement in Germany. Vinograd Mantua 205. Yehuda Samuel Perugia press. 2, 125 pages (Mispaginated). 20 cm. Fair condition, some stains, trace worming. Vintage binding, spine slightly worn. With extensive glosses in early, as yet unidentified, Sephardic hand.